Please leave your states, and stones in this text area. 1st state and stone given will show up on the upper left, 2nd will show up on the lower right. 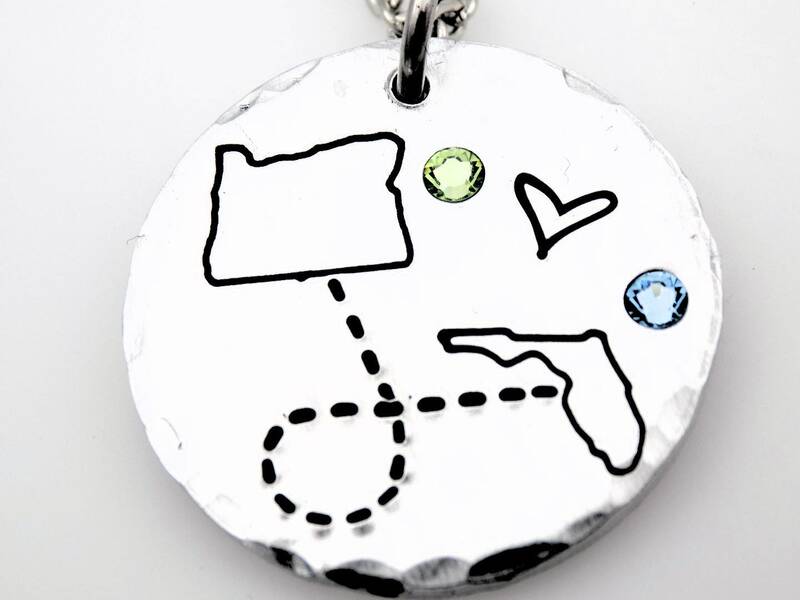 This is a charming necklace includes your states of choice, and 2 stones. Please leave your states in the text area during checkout, you can also leave initials if you don't want states, or we can leave it blank. Orders that come through with no message in regards to initials or states will have the center left blank.